The following video shows you Philippe Coutinho's presentation as a new Barça player. The medical, the arrival at the Camp Nou, the greetings with the President and some teammates...Don't miss out! Philippe Coutinho has been presented as a new FC Barcelona player. On Monday, the blaugrana signed his contract and was presented at the Camp Nou. In the following video, you can get a behind the scenes view of how #CoutinhoDay went with some excellent footage of the Brazilian star. 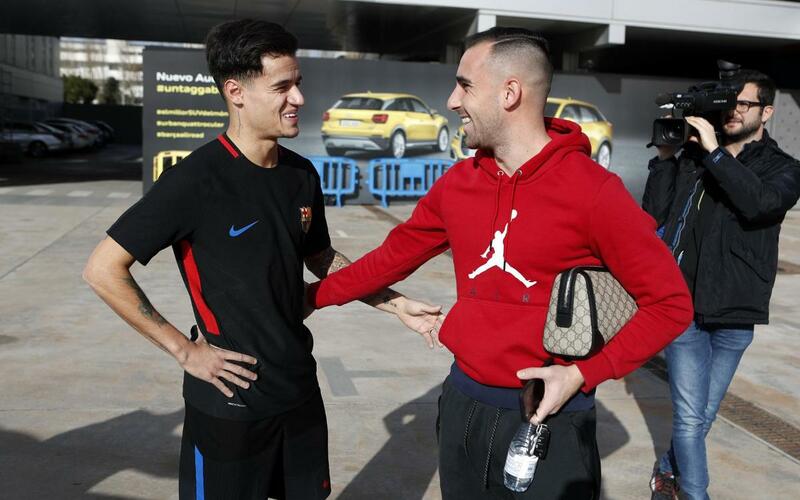 Discover how his medical went at the Ciutat Esportiva in the morning, where he bumped into some teammates: and his arrival at the Camp Nou. Moreover, you can see him greeting Josep Maria Bartomeu on his arrival at the stadium and how the President showed him the changing rooms and the rest of the installations. There was also the contract signing, the tricks and flicks on the pitch, and the photos with the fans. All of this and more awaits you in this Inside View video. Don’t miss out!